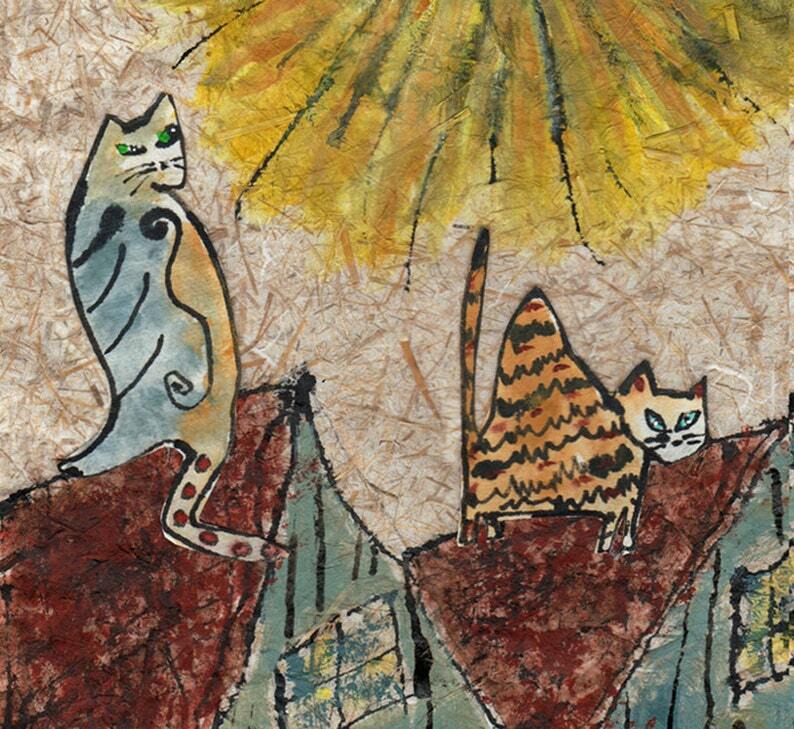 This is a digital reproduction of my original mixed media painting on handmade paper from Japan. It will arrive in an 8" x 10" off white mat in a protective sleeve, with my bio and business card tucked in. All it needs is your choice of frame, and these cats will bring smiles and aloha to your home. The print will be signed by me, Linda.